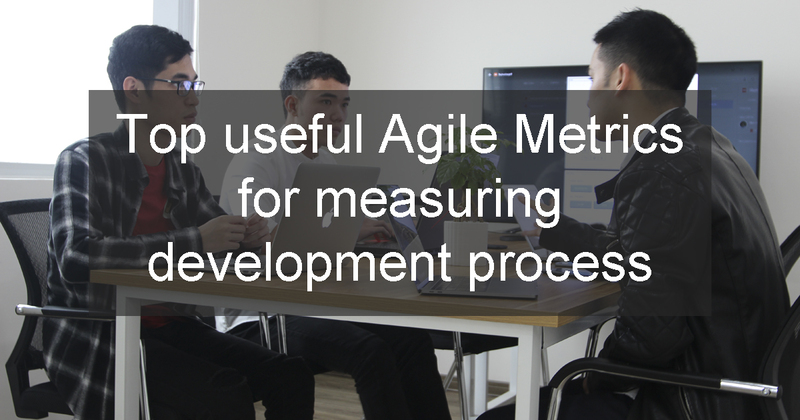 Agile metrics – a common measurement term which is used to evaluate the efficiency of the agile development process, whose main target is how the created value affects customers. Therefore, the agile metrics helps the manager to keep track the team’s productivity. The agile metrics are divided into three types: Lean metrics, Kaban metrics, and Scrum metrics. Like lean manufacturing, lean metrics focus on optimizing the working process and bring value to the end users. Lead time and Cycle time are two common metrics in this group. Kaban is the borrowed word from Japanese, and it describes the main objectives in workflow, organizing and prioritizing work and completed it, which use a cumulative flow as a common one. Scrum metrics, which is familiar in the Scrum method, which usually use burndown chart and team velocity metrics to measure the delivery of software to customers. In this post, I divide the metrics into four parts: Software quality metrics, team productivity metrics, project metrics, and teamwork metrics. Like its name, this group includes the metrics to evaluate the quality of the software built by your team and check if it can bring the value to the end users, and this one includes Escaped Defects, Failed Deployments and NPS (Net Promoter Score). With this metrics, you can list down all the bugs after releasing an app, which helps the developer team has an overview of the qualified features of an app to make sure the quality of the released app. Using Failed deployments, managers can manage the number of deployments to test and build the production environment. Therefore, they can make the decision if the software product gets the certificate of quality. This metric evaluates the customers’ satisfaction, which helps the business owner predicts if the new software product may follow the current customers’ trend or not, as well as help the managers to build the suitable plan to improve products before releasing. This group of metrics are used to measure the team productivity in finishing a task in a project, which may help the manager check the team members’ ability and understand the strength and weakness of each one. Therefore, the manager is able to predict the working time required to finish a project. Lead time stores and help you control the whole process from the backlog to the release stage. The low lead time means the good development process. This metric allows a manager to get an overview of development efforts. Cycle time or Control Chart helps you clarify the average speed required to fulfil a project. The shorter cycle time is, the more effective your team are. Additionally, when the manager gets the consistent cycle time of a team, he/she can plan for the future working plan. This also helps the manager to quickly determine the stuck issues the agile software development process. Preparing for a sprint, the IT team may build a predicted plan and forecast the amount of work they have to work to achieve the goals. 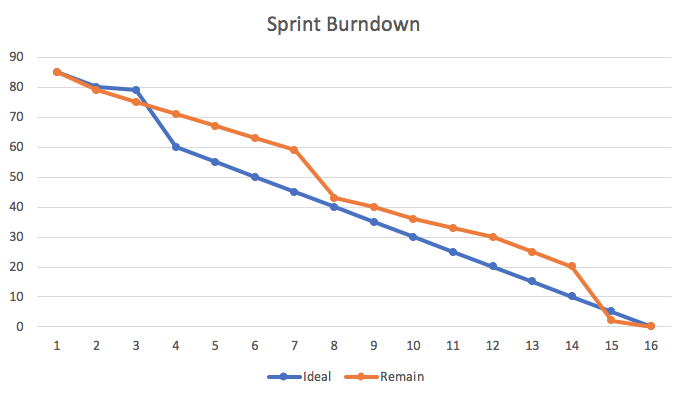 This one is called the sprint burndown report, which uses a visual chart to check and follow each phase. By doing this, the whole team can make sure if they finish the task as the plan or not. Furthermore, this chart will help team leader evaluates the strength and weakness of team members, as well as a better plan for the next projects. Visualizing as charts, the epic and release burndown allows checking the larger view of the working process than sprint burndown. This one helps to manage the “over scope” or the added requirements after the project starts, also to make sure the productivity of the team is stable. 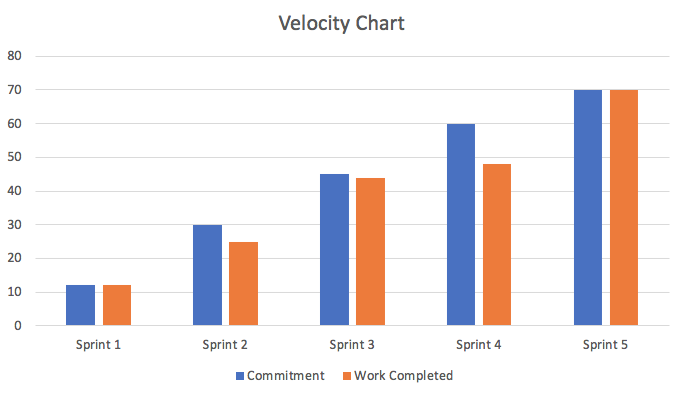 Using velocity, a manager can evaluate the average quantity of completed sprints, which can be used to forecast and build the plan for the upcoming projects. This helps the manager to easily measure and quickly check the result. There are many factors can influence the productivity, it is necessary tocheck the changes of team’s velocity over time. To have an overall idea and information of a project as well as avoid the all unexpected issues happen, the general project metrics may be a powerful assistant for the manager. 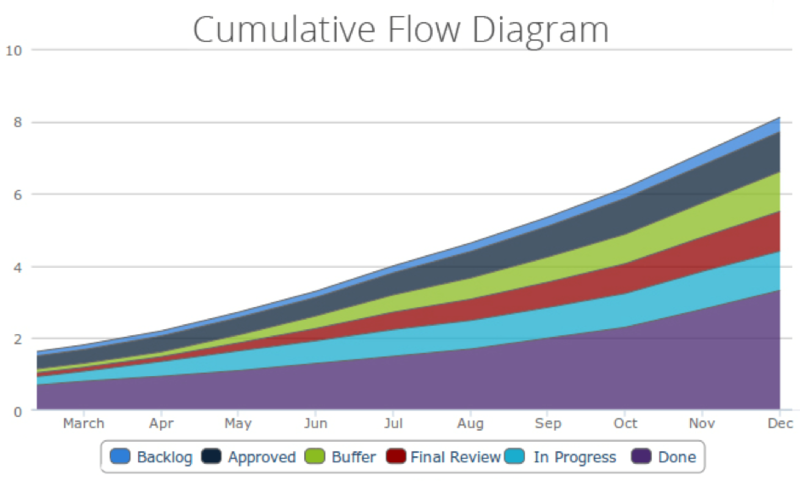 Considered as the most powerful agile project metrics for Kanban, Cumulative flow allows a manager to get the overview of the task every sprint. Shown in a chart, the manager can easily follow and control the whole process while determining immediately the bottlenecks. If you need a metric to manage the testing productivity, Code Coverage will be your solution. Code Coverage calculates the percentage of code covered by unit tests with a raw visualization, which can be calculated automatically as part of each sprint as well as by quantity of methods, statements, branches, conditions comprising the unit testing suite. Besides considering the productivity of a team, well-being also plays a crucial role. Based on these metrics, a manager can send encouragement to the team members at the right time to promote members’ passion. – Can you share with me how happy do you feel with your company? – What feels best right now? – What feels worst right now? – What to do to increase your happiness? By asking the specific information, you can get the idea of the team morale to choose the most fitting of these agile performance metrics, and have the strategic plan to promote the team member performance. By dividing into four main sectors, the blog mentioned the top useful metrics for your agile projects. Of course, in each specific case, people can have their own choice to effectively apply the metrics, the team member and the working style of the team. Therefore, you should make sure to get all the information before making the final decision.